The monastery was destroyed many times by various causes, and its buildings belong to different periods. The Katholicon was built shortly before the mid 10th c. The monastery has 12 chapels, the most important of which is that of St George, with frescoes of the Cretan School (1555). 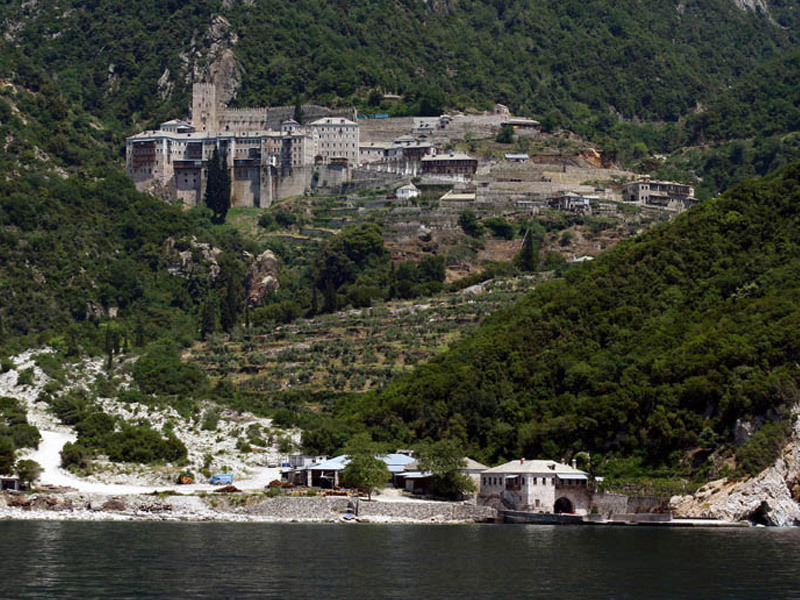 The monastery also possesses the Nea Skete and the Skete of St Demetrius. The monastery is mentioned for the first time, in the mid 10th c., mostly its founder Pavlos Xeropotaminos, and then in 1259. 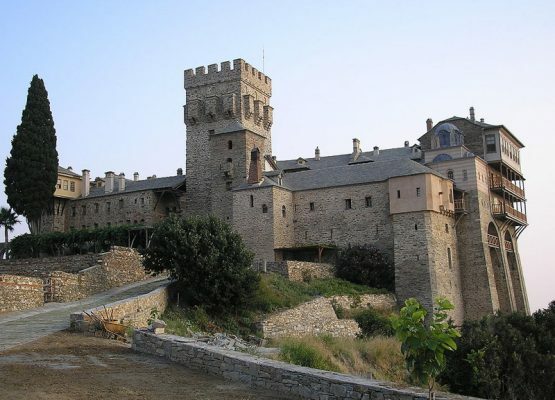 After the Catalan raids, it is degraded into a kellion, only to become a monastery again in the 3rd quarter of the 14th c. In the 15th c. it is financially supported by Serbians rulers and after the fall of Byzantium, by rulers of eastern Europe. Among the monastery’s possessions, are counted portable icons, heirlooms, holy relics and liturgical vessels. The library contains 494 manuscripts and about 12,500 books. The monastery is inhabited by a brotherhood of 30 monks. 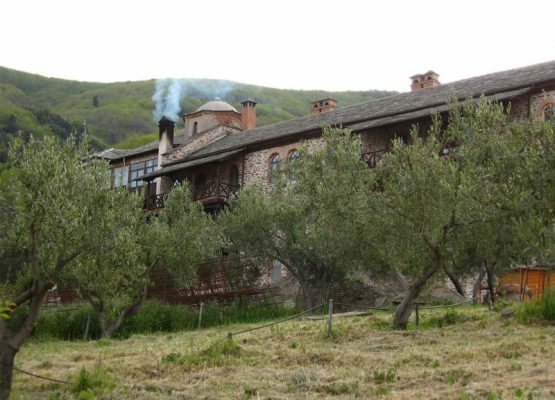 It is one of the smallest monasteries of the Holy Mountain following however the traditional architecture, with the Katholicon in the middle. 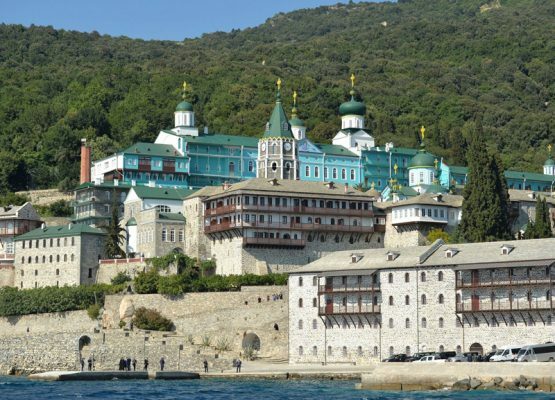 The monks are Greek and Russian, which outnumber the first after 1497. 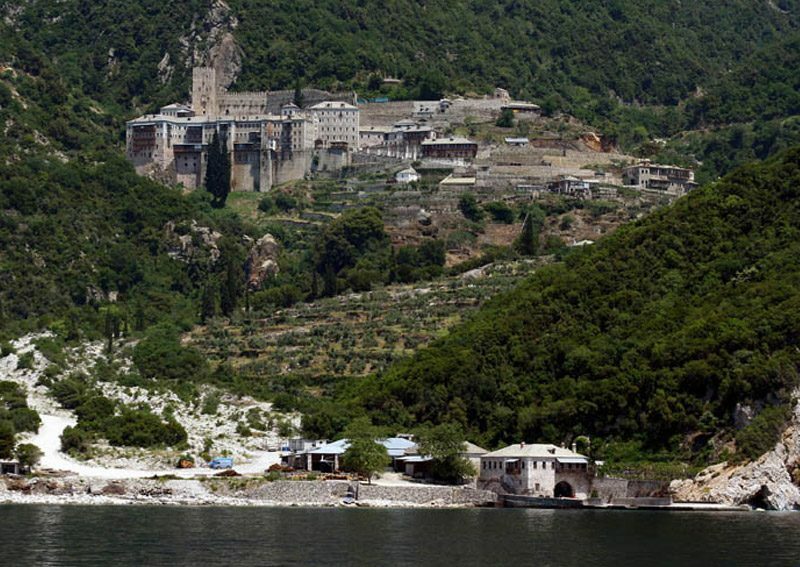 In the 18th c. the monastery is again in greek hands, only to fall back to the Russians in 1875.